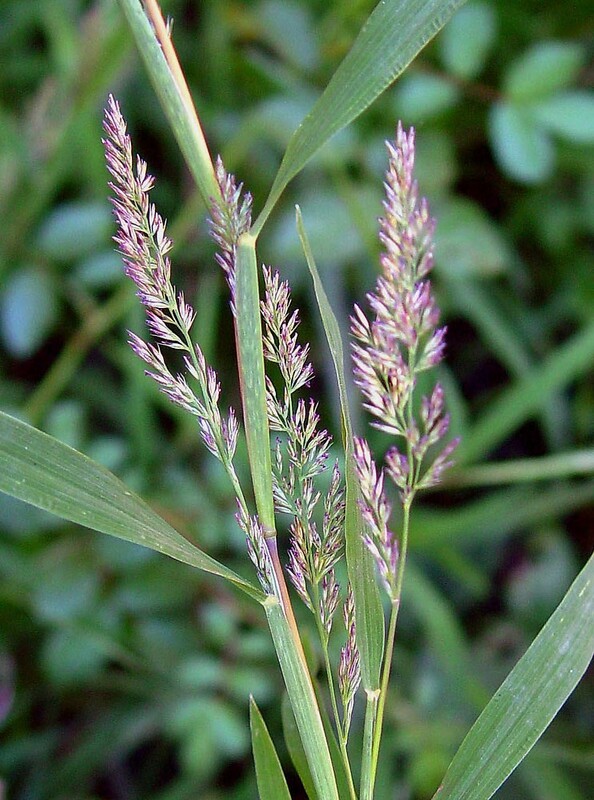 Wire-stemmed muhly is native to the Northeast, but rather weedy and invasive in other parts of North America. 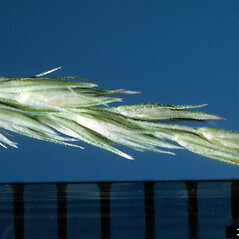 A single wire-stemmed muhly plant can produce 450 rhizomes, fragments of which are spread from field to field by farm equipment. 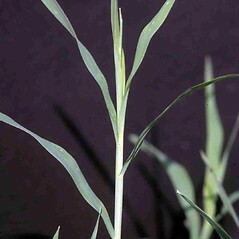 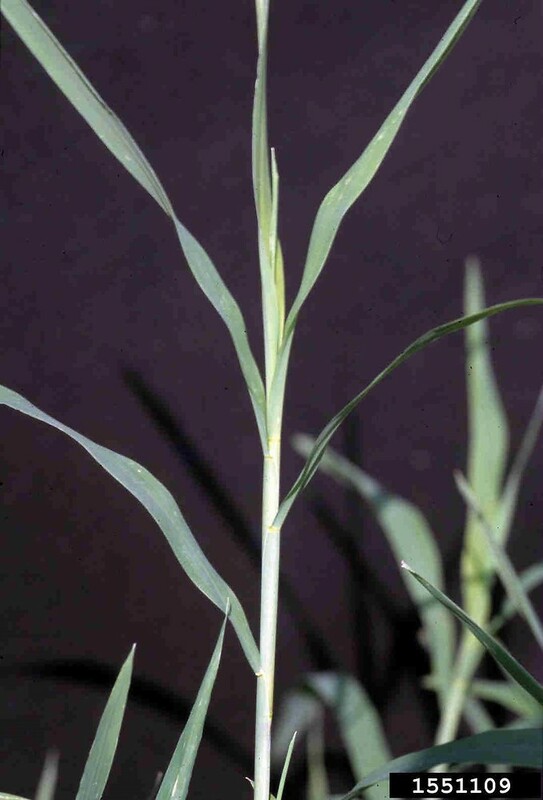 Thus, it can be a serious agricultural weed. 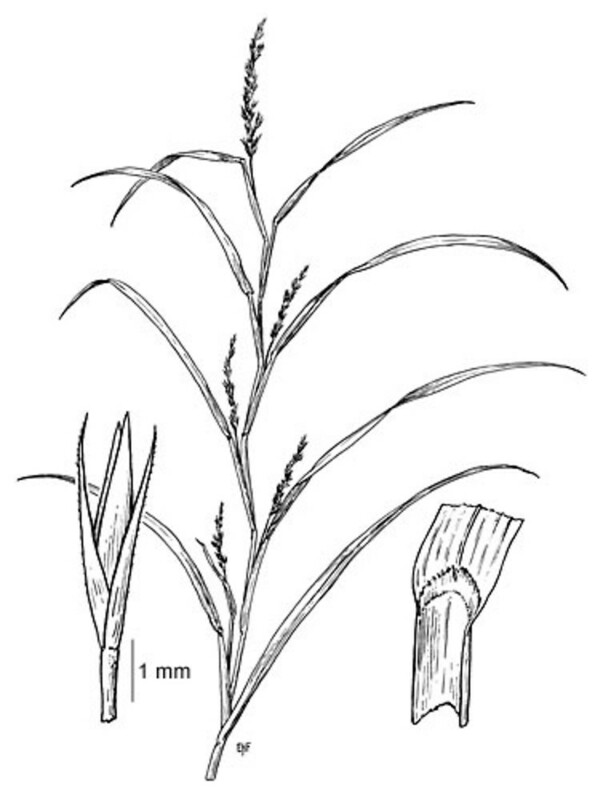 internodes of stem dull and minutely hairy, especially just beneath the nodes, and ligules 0.4-1 mm long (vs. M. frondosa, with internodes of stem shiny and without hairs, even just beneath the nodes, and ligules 0.7-1.7 mm long). 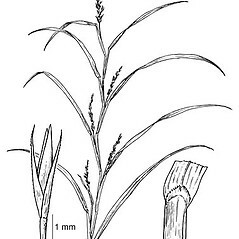 glumes 1-2.5 mm long, broad and overlapping at base, plants usually few-branched above the base, and panicles mostly 2-5 mm wide (vs. M. frondosa, with glumes 2-4 mm long, narrow, only slightly overlapping at the base, plants usually much-branched above the base, and panicles mostly 4-15 mm wide). 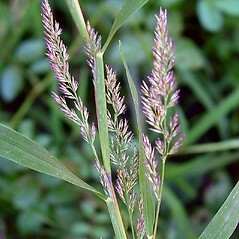 wire-stemmed muhly. 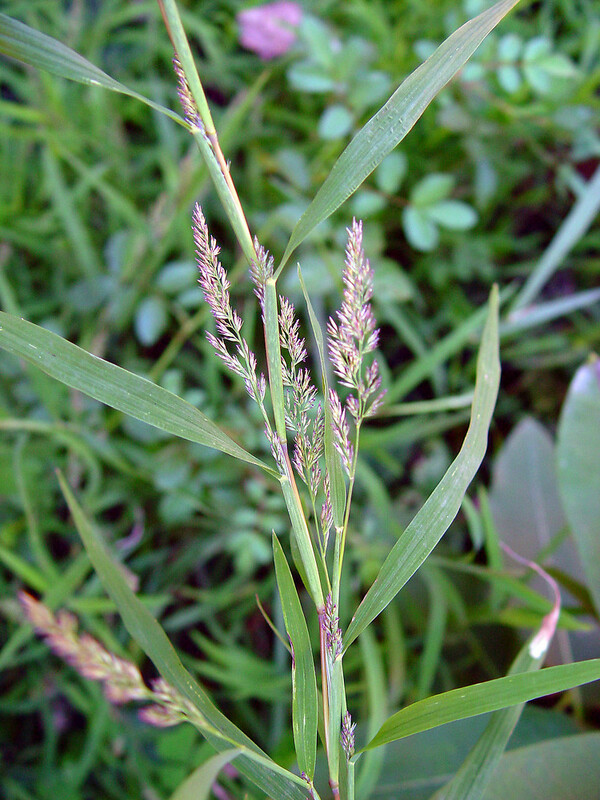 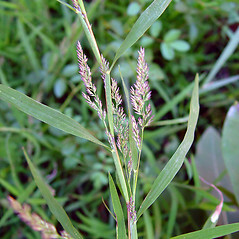 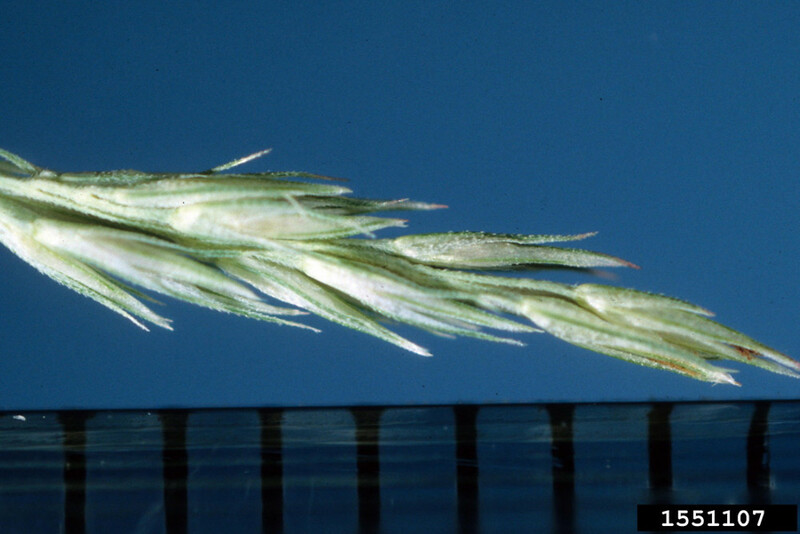 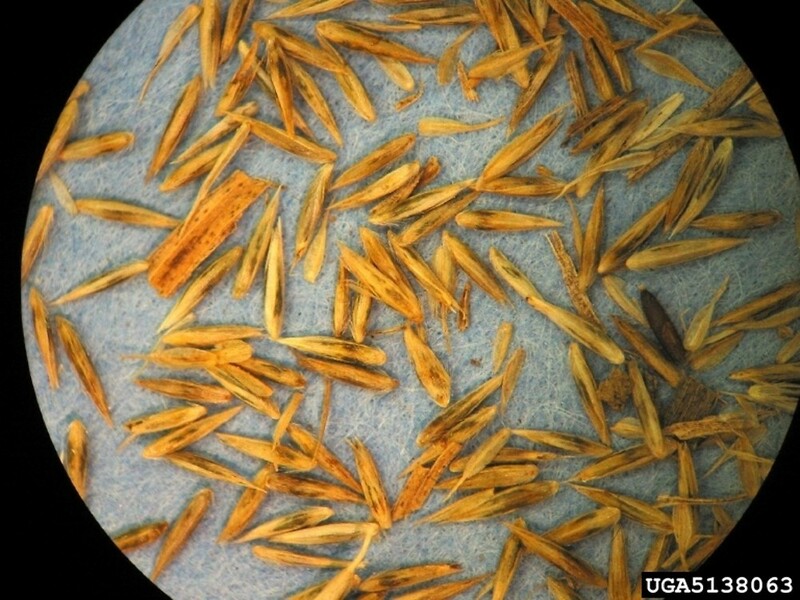 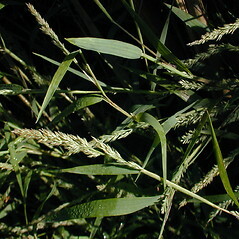 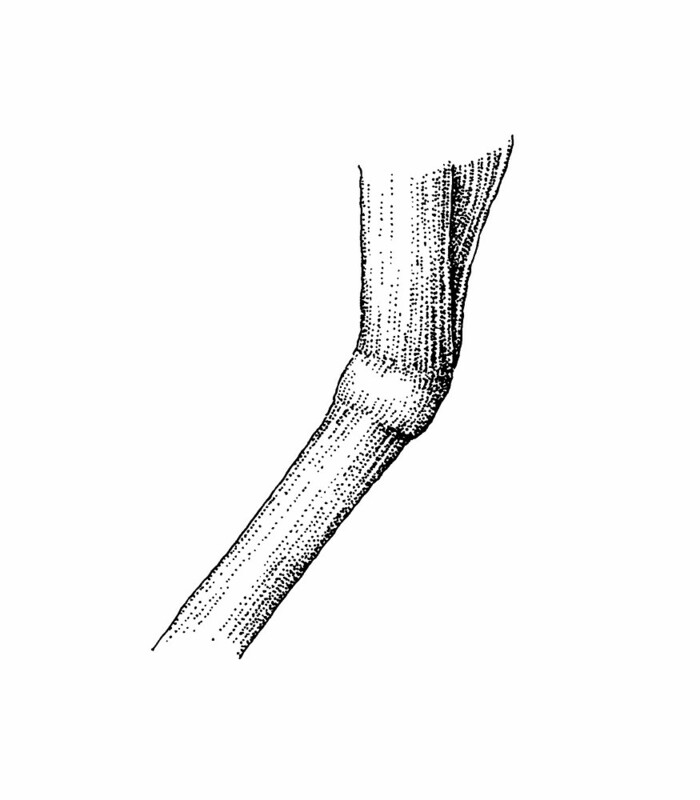 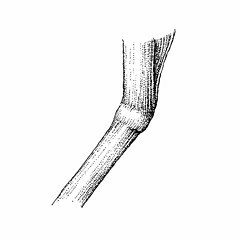 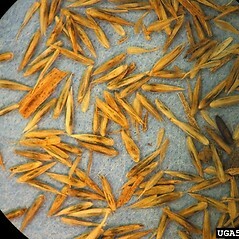 Agrostis frondosa Poir. 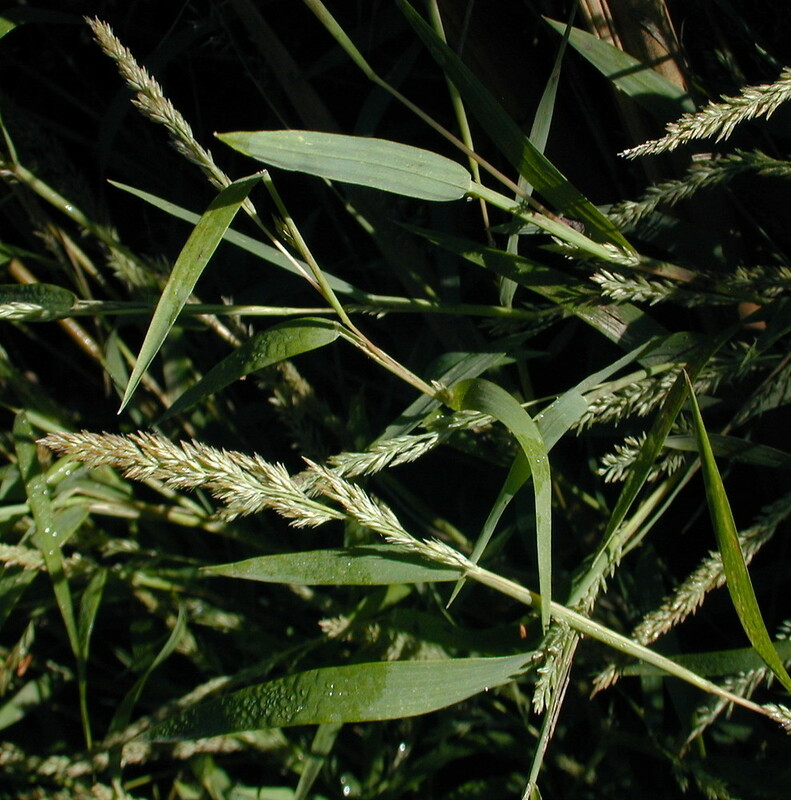 • CT, MA, ME, NH, RI, VT. Forests and forest edges, along streams, sometimes on more disturbed soil and along lawn edges.